INDIANAPOLIS, IND. 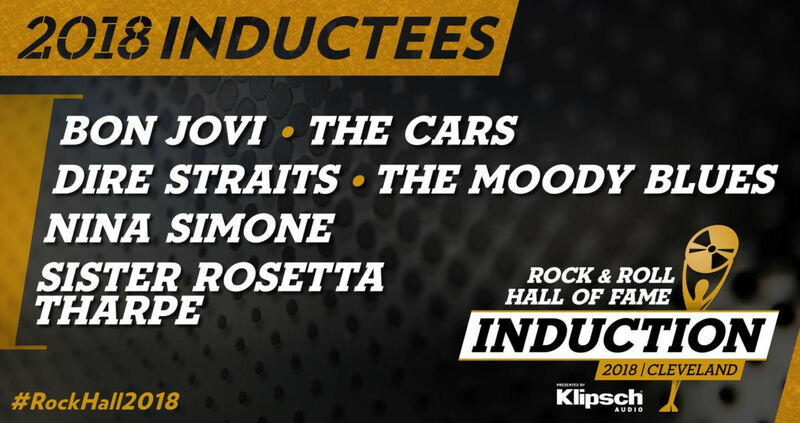 (December 13, 2017) — Klipsch®, a tech-driven audio company and wholly-owned subsidiary of VOXX International Corporation (NADAQ: VOXX), today announces the Rock & Roll Hall of Fame’s 2018 Inductees. In 1946 Paul W. Klipsch, inventor, acoustics pioneer and maverick, founded Klipsch Audio with the sole purpose of bringing the power, detail and emotion of the live music experience into his living room. Through the use of highly efficient speaker designs, handcrafted cabinetry and a thirst for real engineering breakthroughs – Klipsch, the great American loudspeaker company, was born in Hope, AR. Today, our diverse range of quality audio products includes speakers and headphones for almost any consumer and professional application – including cinema, whole-house, wireless, home theater and portable offerings. Honoring our founder’s legacy, Klipsch continues to be the legendary high-performance brand of choice for audiophiles and aficionados around the world. We are the Keepers of the Sound®. Klipsch Group, Inc. is a VOXX International Company (NASDAQ: VOXX).